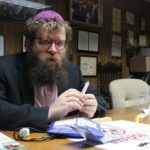 Operation Survival, a Crown Heights-based organization under the auspices of the NCFJE, has become the first Jewish program in New York State to register as an Opioid Overdose Prevention Training Program, in response to the heroin epidemic engulfing the nation – to which the Orthodox-Jewish community is not immune. The Overdose Prevention Program features drug prevention education and overdose response training. 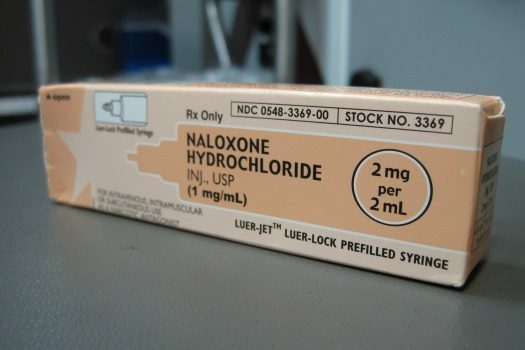 By the end of the training, individuals will be able to identify risk factors for overdose, recognize signs of an overdose, perform techniques to stimulate someone who appears to have overdosed, and correctly administer Naloxone. Free naloxone kits are available for those that complete the training. Naloxone blocks or reverses the effects of opioid overdose. It is used to treat a narcotic overdose in an emergency situation. “Addiction doesn’t discriminate. It occur in every community. We are working with leaders in both the African American and Jewish communities and we stand united in the war against drugs. We share this common cause” said Rabbi Shea Hecht, chairman of the board of the National Committee for the Furtherance of Jewish Education. Opioids encompass a wide range of legal painkillers as well as illegal narcotics such as heroin. Prescribed painkillers, often made with synthetic sources, include oxycodone (OxyContin, Fentora, and Percocet and Percodan, which also contain acetaminophen) and hydrocodone (Vicodin, Lortab, Lorcet and Norco). According to the CDC, in 2013, more than 16,000 deaths in the United States involved prescription opioids, and more than 8,000 others were related to heroin. Naloxone is a prescription drug that can reverse the effects of prescription opioid and heroin overdose, and can be life-saving if administered in time. “Opioid overdose is no longer uncommon and we can’t offered to ignore the problem. Our gaol is to provide prevention education, overdose training, and make naloxone available to all who need it.” said Rabb Yaacov Behrman, program director at Operation Survival. “The troubling increase in overdose deaths involving fentanyl shows that there is more we can do to educate providers and the public about the risks of opioid misuse and abuse,” said Health Commissioner Dr. Mary T. Bassett. “These new initiatives show the City’s commitment to reducing opioid overdose deaths, which are preventable. 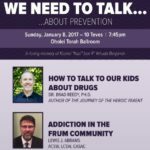 The National Committee for Furtherance of Jewish Education established Operation Survival in 1988 to provide Student Assistance Programs and workshops in drug prevention in local Yeshivas and Public Schools. 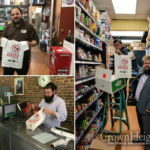 The Crown Heights-based program also networks with other agencies to disseminate information to educators, social service and medical professionals, and clergy. Operation Survival has been credited with bringing the racially diverse community together in common cause. If you are interested in registering for an overdose prevention training and a free Naloxone kit, please contact Operation Survival at (718) 735-0200 Email: overdose@operationsurvival.org. did it really important to habadniks? we solve all other problems?? What on earth does Naloxone have anything to do with selling Judaism?